Asturia girls visited the charming town Gruissan, France April 5, 2012. 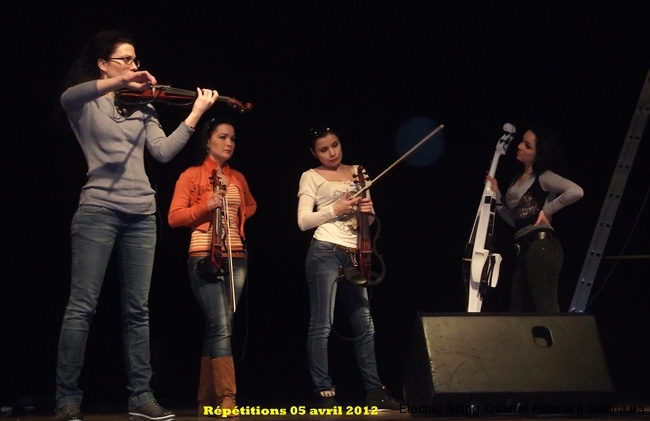 In the Hall of Congress was held a big show string quartet Asturia. 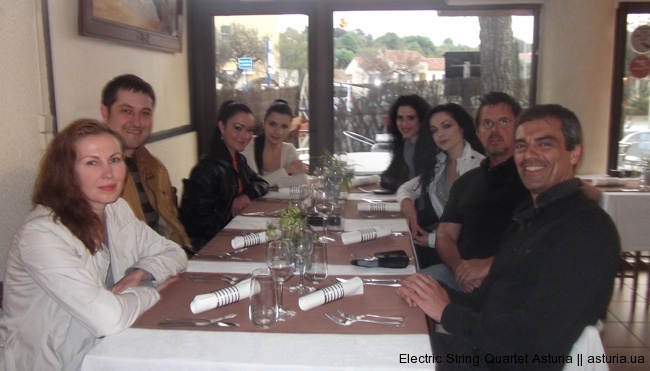 Photos: With official partner in France – Simon Deram and Asturia after concert. Walking. Rehearsal. Dinner.